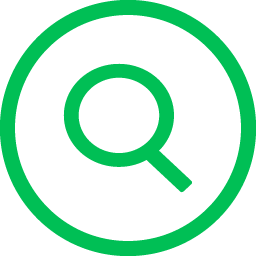 You like working with UltraSearch? You have comments or suggestions? I find UltraSearch the finest search routine available. I frequently save a downloaded file and then I am confused as to where my browser put it. Knowing the file name, I can use UltraSearch to find it in milliseconds! I would like to thank you very much for your software UltraSearch it is absolutely BRILLIANT. I have tried many search applications over the years, but yours is by far the best and FASTEST I have ever used. I would like to thank you for this amazing piece of software. For you it may be simple, but for me it is AWESOME. I've been using this ultra-fast search software for years with all my XP builds for myself and for clients. Thank you very much for your work. Find files faster on your NTFS drive"
UltraSearch comes with the advantage that it looks for your query straight into the Master File Table of the NTFS drive. The speed in returning a result through this method is amazing. You will actually be able to view results as you type the search term. The search functionality is fast, really fast.